EP Release delayed until 8th September! I come baring bad news! I’ve had to delay my release by a week! It’s something that has been playing on my mind and I want it to be perfect so it will have to be a week late! The Kickstarter campaign still finishes tomorrow as planned. 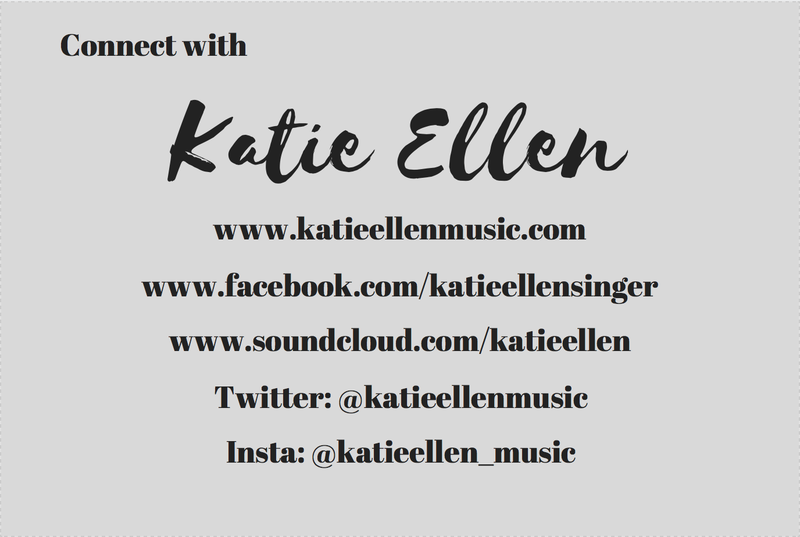 Make sure you’re up to date with all of the news from my performances and musical adventures by liking my Facebook page http://www.facebook.com/katieellensinger! 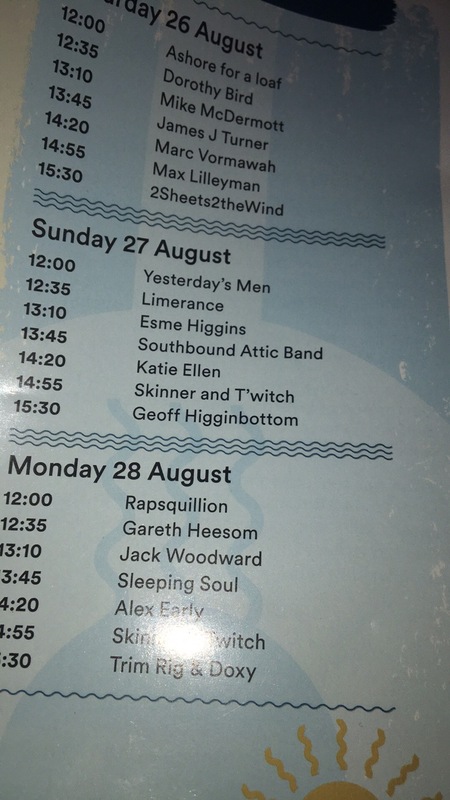 Well, what a day I had yesterday at Folk On The Dock! Probably my biggest performance with the biggest audience so far on this journey and I absolutely loved it! When I started performing again after a hiatus of many years, my nerves always over shadowed any other emotions. But slowly and surely (I’m trying not to jinx myself) I’m falling in love with the performance side of things again, even when performing my own songs! I absolutely loved every second of yesterday’s performance and we drew a crowd who really seemed to get in to the style and feel of my material. After arriving at The Albert Dock, I received a programme and thought it was really cool to see my name in the programme. Of course I sent a picture of it to my Mum, who lives in Co Durham! All in all I played 7 song, which was the perfect timing of 25 mins exactly, my allotted time! My favorite song to sing was surprisingly, Cowboy Song as it’s pure country and fast! I felt really at home singing it which is not my usual preference, as some of you may know, I favour emotional ballad songs. I’ll be posting more clips throughout the next week on my Facebook and YouTube so keep updated and follow me on my social medias! All in all, a day to remember and a step in the right direction for me as a performer as well as a songwriter! At the moment I feel like I’ve got a song to write so watch this space for new material! 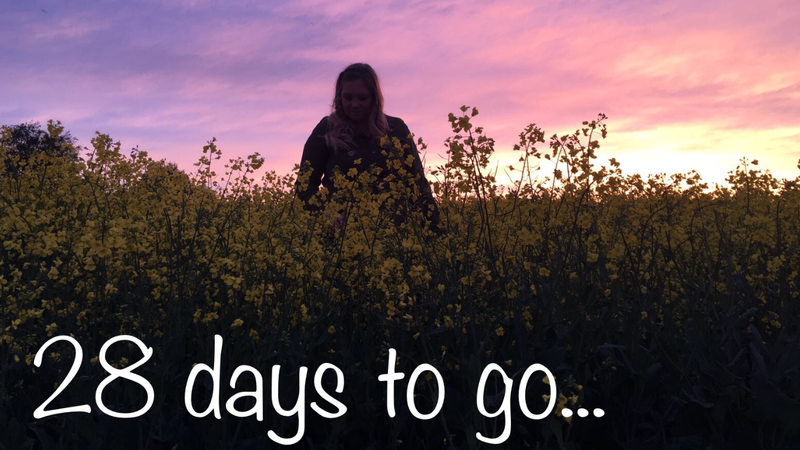 This time next week my EP will be available on iTunes, Spotify and most digital music marketplaces! Thanks for reading! And thanks for the support so far! BBC Merseyside – Live performance and interview. 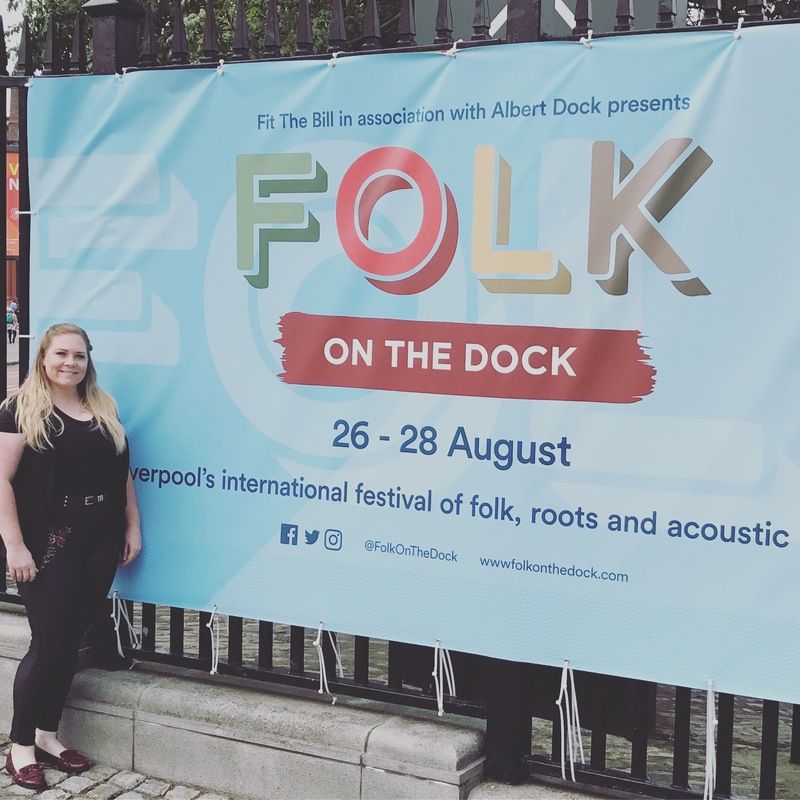 On Wednesday 23rd August I appeared on the Billy Butler show on BBC Merseyside to promote the Folk On The Dock festival that I’m playing a set at on Sunday 27th August (2:20pm on the Stan Ambrose stage). The experience was so much fun and, although I was super nervous before hand, I enjoyed singing my songs live on the radio! I especially enjoyed being interviewed by Billy Butler, he was funny and seemed to enjoy my songs! After arriving at the BBC Merseyside studio, I heard ‘Can’t We Just Be Friends’ being played which meant a quick song swap so we ended up playing ‘Your Song (Out Of My Head)’ and ‘One Reason’. Thankfully, both went well thanks to my very professional guitarist Alun Parry (check him out here >> http://parrysongs.co.uk ) and of course my coolness under pressure (not so much! ha!). Today I did something that proved to me how far I’ve come over the last 6-7 months, I auditioned for a national songwriting competition. And I didn’t tell anyone I was going! About 5 months ago, I sat down and thought of all the things (music/performance wise) that scared me and since then I’ve ticked them off one by one. Auditioning and allowing someone else, who doesn’t know me from the next person, to tell me whether they like my song or not was definitely at the top of the list. So, I entered a competition. Today was the day and I turned up to a full room of like-minded people and my fight or flight instinct kicked in. I have this voice in my head when I get nervous saying ‘Just go home!’. I fought it all the way to the audition room where I performed ‘(Your Song) Out Of My Head’ with my guitar and left to await the result. 10 minutes later the names of the people through to the regional final were called. And mine was one of them! The point of today wasn’t to win a contest but to push myself past the limitations I set myself. I’m not a fan of XFactor or The Voice and I don’t think there is a place for them in my musical journey but today I was able to put myself out there and open myself up to rejection. Whether or not I decide to participate in the live final is still up in the air. I/m not sure how it will help me progress towards my goals but, in time, I’ll let you all know! Yesterday, Cherry and I tried busking in Southport. Heres ‘Can’t We Just Be Friends’. Tune in to BBC Merseyside on Wednesday 2-4pm to hear me play live! It’s been such a busy weekend! I’m so ready to chill out and so id my dog, Max, so from us, Goodnight! 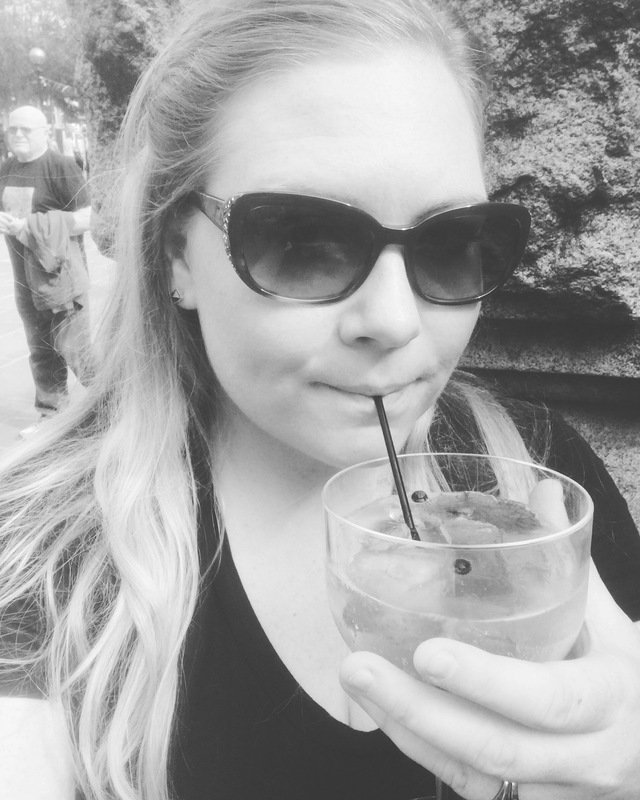 Half Way There – Literally! To celebrate being passed the half way point for my Kickstarter campaign, heres a preview of one of the songs! Half Way There (fitting don’t you think) appears twice on the EP. First as a full bodied country song and then again stripped back to a piano and voice track, the way it was originally written. This preview is of the piano version, I hope you enjoy! Thanks for all the support and thanks for reading! Look at this amazing review! So, so thankful! Remember if you want to help me reach my final goal you can pre order my EP on kickstarter! Today I made a live performance video for my newest song ‘Cowboys & Liquor’! I think it’s my most country style song to date, what do you think? I played it on electric guitar, I don’t pick it up that often but I felt it suited the song and the guitar itself is very pretty don’t you think!? Let me know your thoughts on the song in the comments below and don’t forget, you can support my upcoming EP and pre order it by pledging to my Kickstarter campaign! Click here to read more out the campaign! That’s what I’m trying to be, happy! So this song is my new life “theme song”! I cant be afraid to fail, and be the artist and writer I want to be, in other words, I need to get over it!! I only have 3 and a half weeks left to get my act together for the release and the Kickstarter campaign, I desperately want to hold a finished physical product in my hand! I feel like I’ve worked so hard for it, not only with performing and writing but on my confidence and self-belief! If anyone has any words of wisdom on this subject, comment below! I’d love to hear how everybody else copes with these issues, I can’t be the only one who feels this way! I’m taking a few days out of the week to do a bit of writing and planning and hopefully a video of a new song to come too so don’t give up on me just yet! Even writing this blog has helped me regain momentum. Writing is always my release, no matter what the medium! Also, this morning on my way to Liverpool (I’m looking after few summer school days) I re-istened to my EP all the way through to remind myself what I’m trying to achieve and I’m so proud of it all over again! Again, thanks for reading! Sharing across social media is a massive help too, so if you have a second please consider sharing!